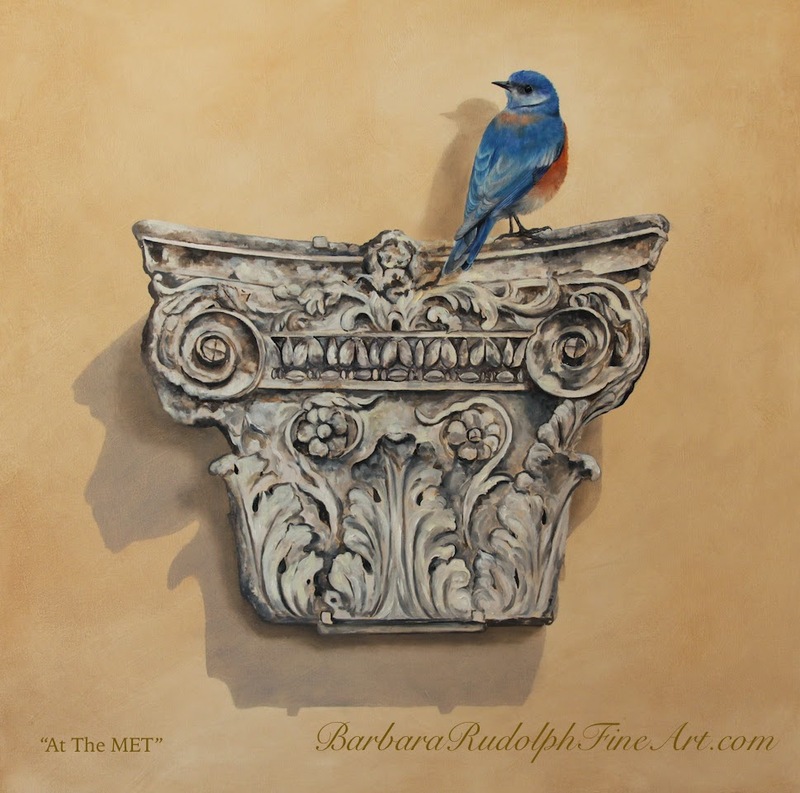 I recently finished up this "oil painting" that was inspired by my visit to the "Metropolitan Museum of Art" in New York. 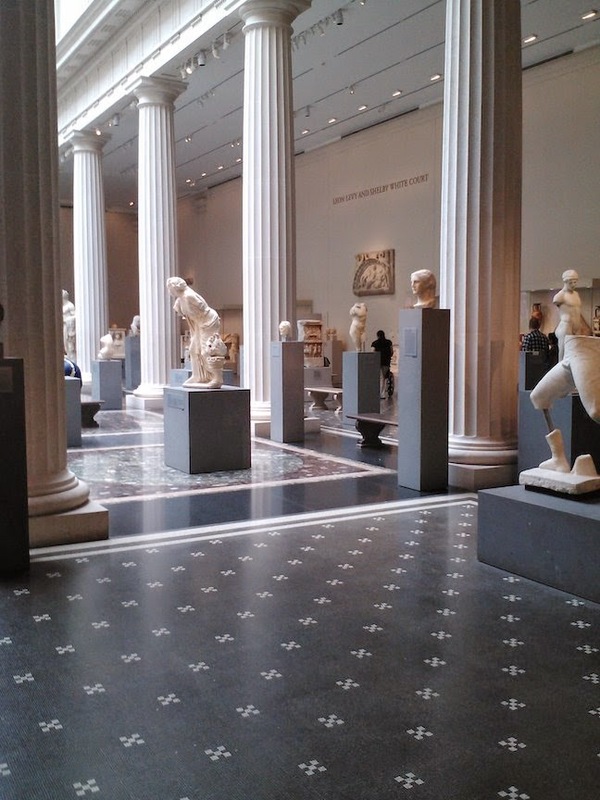 One of my favorite galleries in the museum was the gallery of European Sculptures. Some of the highlights I enjoyed were the Italian Renaissance and French 18th century sculptures. 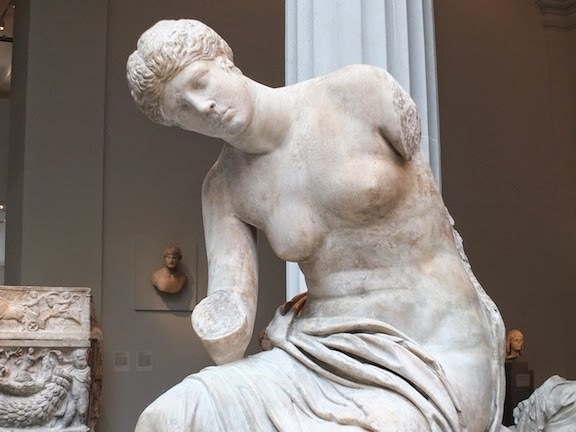 The Greek and Roman galleries are full of classical art with objects from small engraved gemstones to over-lifesize statues. 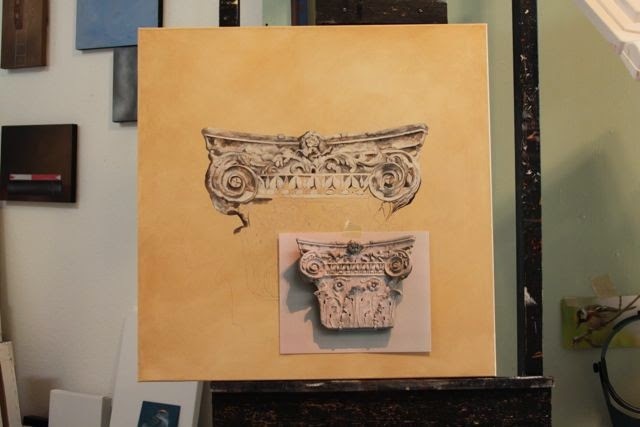 I took a lot of photographs for painting reference .... and this "Roman" pilaster capital caught my eye for a painting. 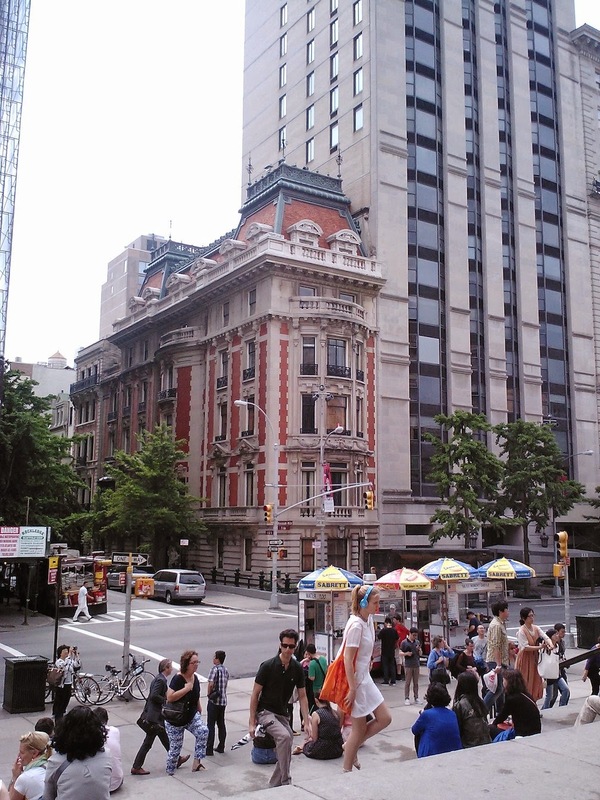 This capital was once set against a wall. It is dated from the 1st half of the 1st century A.D. 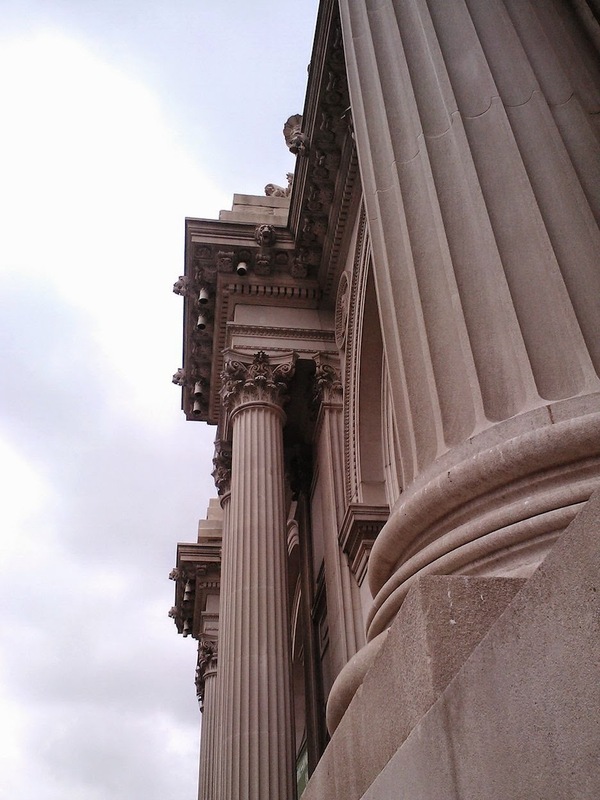 In Roman architecture three major orders of capitals were used—Doric, Ionic, and Corinthian. 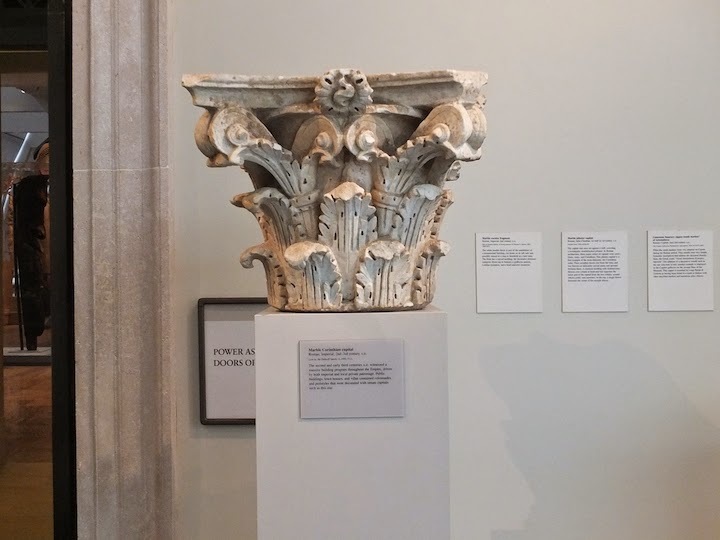 This pilaster capital is a fine example of the most elaborate, the Corinthian order. Three acanthus leaves rise from the base and two flowers on delicately carved stems curl upward between them. A classical molding with stylized lotus flowers over a band of bead and reel separates the lower part of the capital from the two volutes around which a leafy vine entwines. At the top, a single flower decorates the center of the straight abacus. Beginning my painting here. I already painted in the background and allowed it to dry. 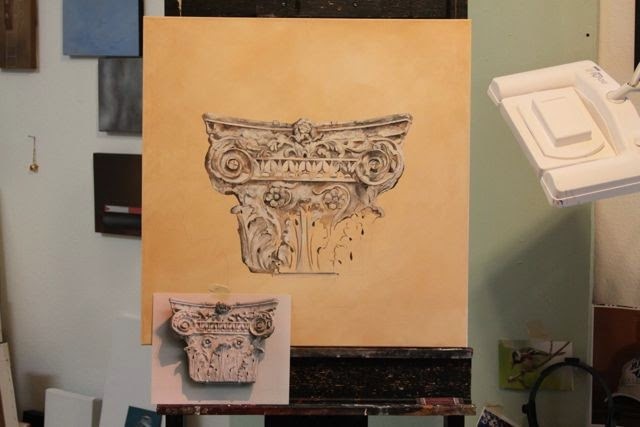 Then I chalked in my sketch of the capital and began to paint it in oil. 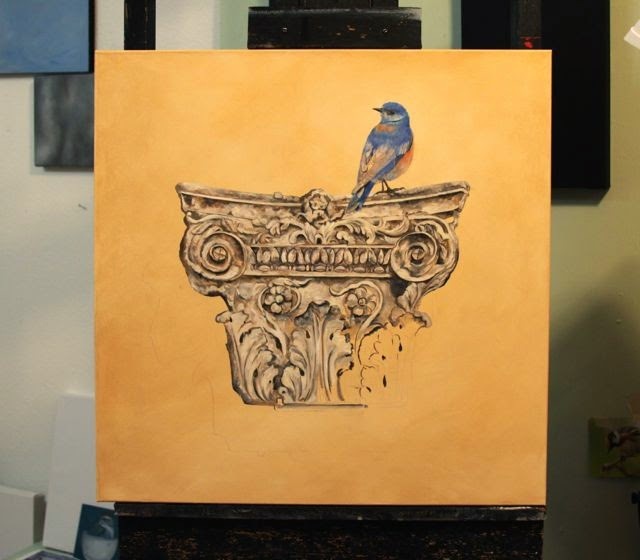 Jumping ahead....I paint in the first layer of my "Bluebird." 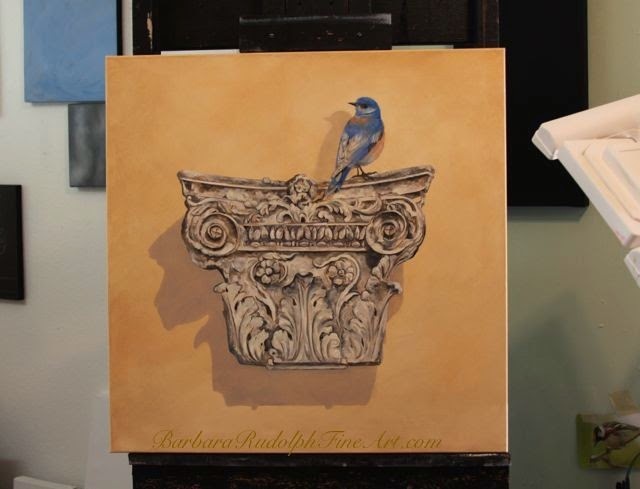 This new oil painting is 24 x 24" and is painted on deep gallery wrapped canvas. 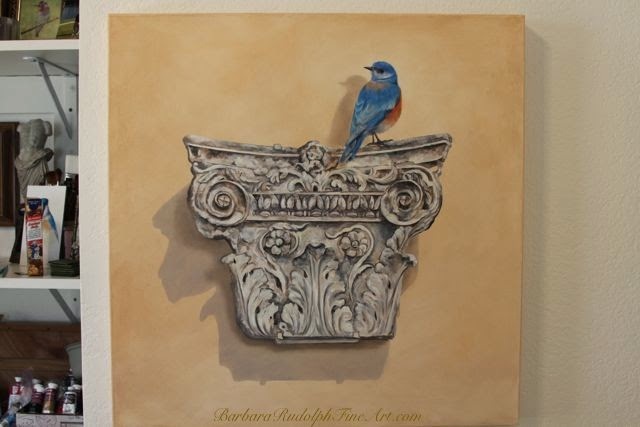 It will be for sale this winter at my art show: "The Celebration of Fine Art" in Scottsdale, Arizona.